Mie theory, also called Lorenz-Mie theory or Lorenz-Mie-Debye theory, is an analytical solution of Maxwell's equations for the scattering of electromagnetic radiation by spherical particles (also called Mie scattering) in terms of infinite series. The Mie solution is named after its developer, German physicist Gustav Mie. However, Danish physicist Ludvig Lorenz and others independently developed the theory of electromagnetic plane wave scattering by a dielectric sphere. 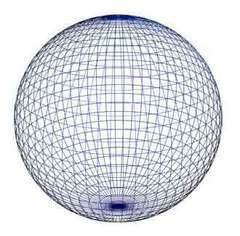 The term "Mie solution" is sometimes used more generically for any analytical solution in terms of infinite series, for example in case of concentric spheres, or cluster of spheres, or infinite cylinders. 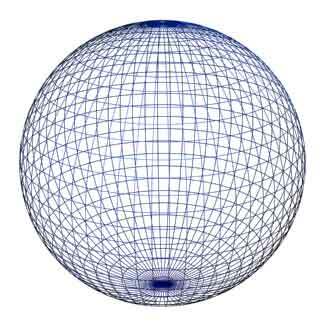 However, here we consider only homogeneous spheres. This code was originally published in the Appendix of "Absorption and Scattering of Light by Small Particles" by Bohren, Craig F., Huffman, Donald R, 1983, Wiley, New York, 530 pages. It is one of the most used Mie code. MIEV0 W. Wiscombe Mie Fortran Warren Wiscombe is know to produce very good codes and MIEV0 is one more example. The code comes with extensive set of self-tests and extensive documentation. It is one of the best MIE code available. On the other hand there is some learning curve at first and BHMIE is, I think, working as well. CAM Wiscombe Approximation Fortran For large size parameters! A package of routines to calculate the three Mie efficiency factors Q-ext, Q-abs and Q-pr (extinction, absorption, radiation pressure) using CAM approximations. These approximations are only useful (accurate to better than 10% or so) for size parameters above about 20 for Q-ext and above about 100 for Q-abs and Q-pr. Note that the Mie curves have a lot of ripple which makes comparisons at individual size parameters almost useless; you must plot the Mie and approximate curves for a short range of size parameter to see the overall accuracy of the approximations.